Approximately 6 miles from central London, Crofton Park situated between Brockley, Honor Oak Park and Catford. The area is made up of predominantly family homes. Notable landmarks include the Rivoli Ballroom – a Grade 2 listed 1950s dance hall – and the Brockey Jack pub which houses a theatre. 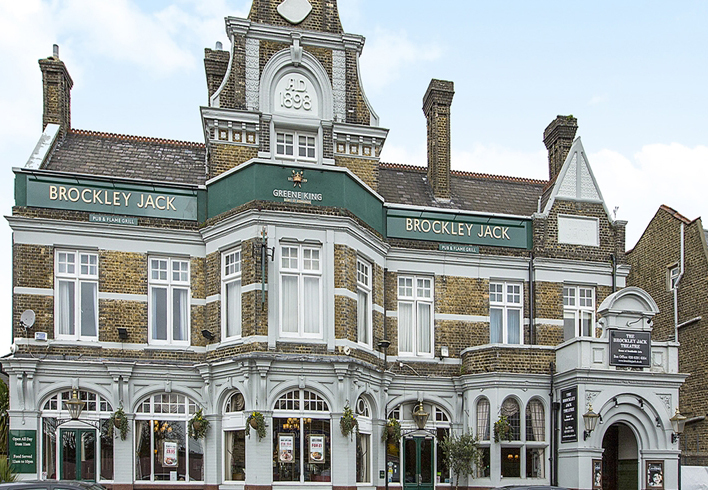 "My favourite thing to do in Crofton Park - go the Brockley Jack pub for a drink then see a play in its theatre. In how many other pubs can you say this!" 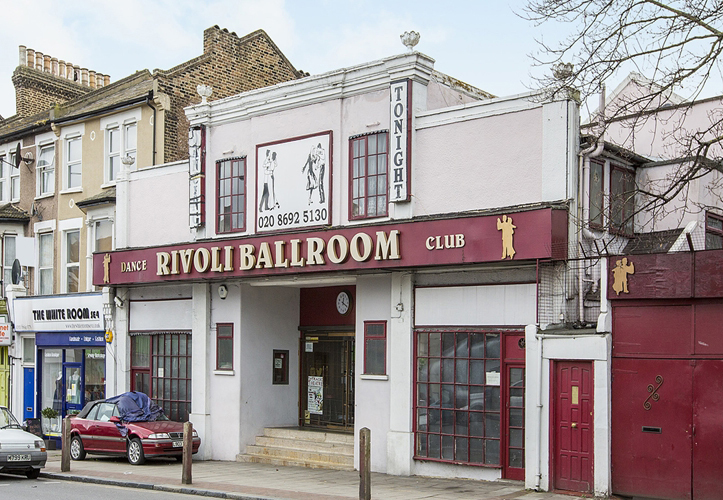 The Rivoli is the last, intact, ballroom of its type in London. Unassuming from the outside, once through the doors, the retro-glamour interior of this Grade II listed hall is something to behold. Put on your bobby socks and leather jacket and dance the night away. The Brockley Jack is a great local pub and one with a surprise – a small theatre attached to it where a variety of shows are performed. Forget trendy Shoreditch, if you’re looking for craft beer, fine wines and wholesome food, then you have two for the price of one – the Beer Dispensary and, next door, Mr Lawrence’s. Jam circus is a real community pub, focusing on quality beer, honest food and service with a smile. Children are welcome every day until 9pm, and on Friday between 11am and 4pm there’s a free soft play room. 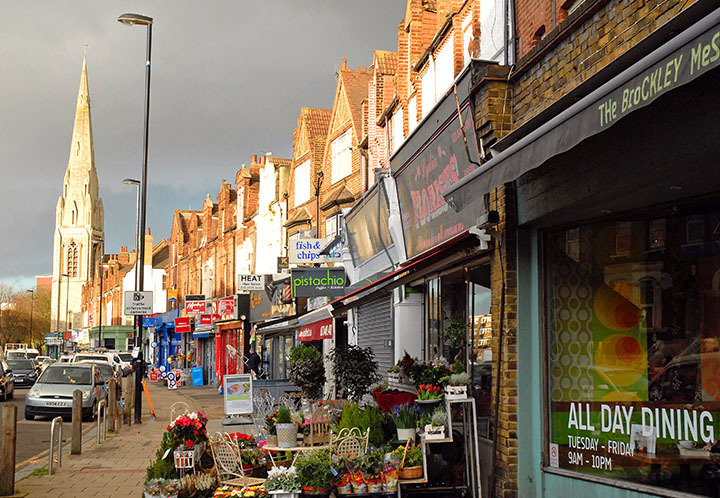 Most of the area’s amenities are found along Brockley Rd which eventually merges into Brockley. Proud Sow in Ewhurst Rd, where there’s been a butcher’s shop since 1908, opened in 2014. Its ethos is to provide quality, traceable English meat. Bugden’s supermaket has a good range of products including locally made fresh bread. 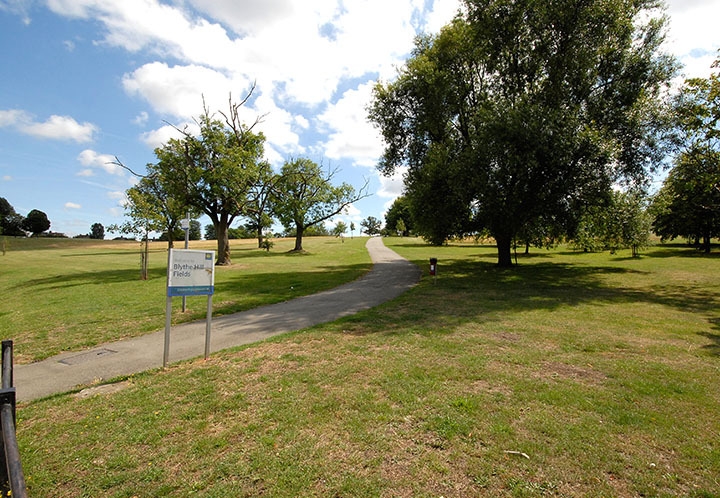 Blythe Hill Fields is an area of elevated open land to the east of Brockley Rise. The park has been transformed in recent years and plays host to an annual summer festival. Its elevated position means that there are fantastic, panoramic views of London’s skyline to the north and east, and Kent to the south. London Overground from Brockley or Honor Oak Park station: services into Highbury and Islington and south to Croydon.